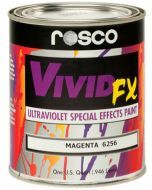 A phosphorescent, water-based paint designed for use in total darkness for stage direction and visual orientation. 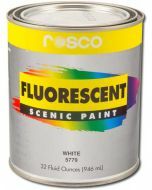 RoscoGlo appears, in the dark, as a distinctive yellow-green light – a 2" square is visible up to 30 feet. Ideal for marking hazardous areas or placing people or props in blackout situations. 1.15" x 1.15" x 3.75"